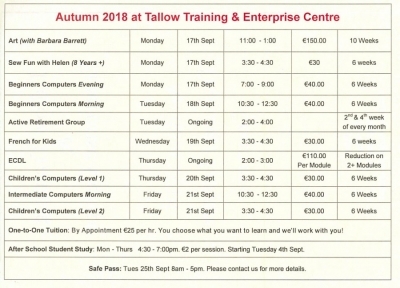 Tallow Training and Enterprise Centre - Tallow, Co. Waterford, Ireland. Looking to upskill in 2018? Training & Leisure Courses beginning in September.